http://www.webometrics.info/en/aw/Saudi%20Arabia. 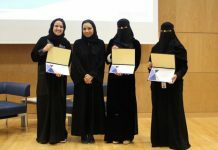 Alfaisal university Information technology services have been working extensively on improving the search visibility for Alfaisal in Google search engine, by optimizing the website for better search results. With this, users can easily access Alfaisal website that will serve accurately their purposes and in the fastest manner. IT services also recently launched Google Open Scholar (faculty.alfaisal.edu), being the first university in Saudi Arabia to do so, this feature will allow each faculty to have his/her own website which will allow users to easily read faculty research and achievements and for better communication purposes with perspective students along with an improved search for faculty publications, presentations and content to Open Scholar website. IT has also recently launched the new E-Library website with Subject guides, E-Catalog/ Dictionaries / E-Journals/ Articles & Databases etc. which contain a good search visibility in Google, mentioning that Alfaisal has an advanced E-library accessed using highly developed computer labs, furnished with the latest technological equipment for best advanced library usages. Admission and registration for students is also now online, due to the high demand from prospective students to join Alfaisal, this way Alfaisal can serve maximum number of applicants and at the same time filter all admission cases according to Alfaisal criteria to recruit best students which will allow better content and easy accessibility for information for admissions. 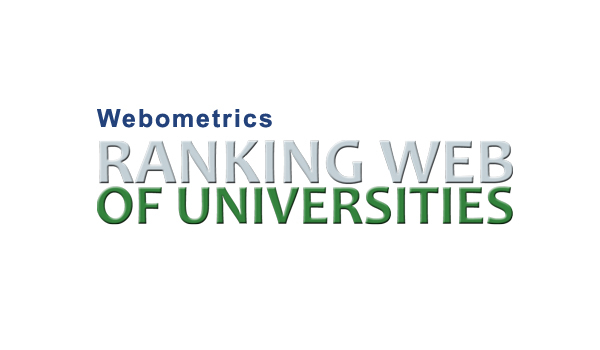 This has also resulted in gaining exceptional traffic for Alfaisal website and sub sites in the past few months which helped in Alfaisal to be among the top 10 in university ranking in Saudi Arabia. عمل مركز خدمات نظم المعلومات بجامعة الفيصل وبجهد خلال الفترة السابقة على تحسين البحث عن “جامعة الفيصل” في محرك البحث “جوجل” ليسهل على المستخدم التصفح في موقع الجامعة والحصول على أفضل النتائج المطلوبة. فقد تمكن مركز خدمات نظم المعلومات مؤخرا العمل على تجديد المحتوى الأكاديمي عند القيام بالبحث عن الجامعة في البحث العام والفرعي للإنترنت. 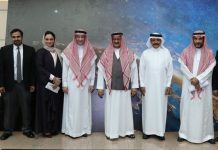 إضافة إلى ذلك، تم مؤخرا إطلاق( Open Scholar faculty.alfaisal.edu) ”” والذي يتميز بخاصية توفير موقع الكتروني خاص لكل أستاذ من أساتذة الجامعة والذي سيسهل على المستخدم تصفح إنجازات وبحوث كل أستاذ على حدا إضافة إلى تمكين الطلبة التواصل مع أساتذتهم بشكل أفضل. والجدير بالذكر أن جامعة الفيصل تعتبر أول جامعة في المملكة العربية السعودية للقيام بهذه الخطوة المتميزة. ولم تتوقف خطوات التحسين عند هذه النقطة فقط، بل امتدت إلى اطلاق الموقع الجديد للمكتبة الإلكترونية والذي يتضمن استخدام القواميس، قاعدة البيانات، مختلف المقالات، البريد تسويقي، والمجلات. وأخيرا تم إطلاق الموقع الجديد للقبول والتسجيل لتمكين الطلبة من التسجيل والتقديم الكترونيا والذي أدى إلى زيادة الحركة في موقع الجامعة إضافة إلى المواقع الفرعية في الشهور الأخيرة. Next articleAlfaisal University Announces the Hiring of New Dean, Dr. Bajis Dodin to Lead the College of Business.